From then on go to the website of 7Plus or use their app if supported. Please see supported devices between 7Plus and Unlocator at the bottom of this page. 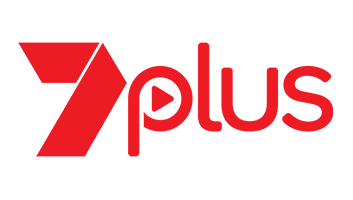 7Plus is the live and on-demand streaming service of the Seven Network. Australian residents can watch the likes of Survivor Australia, Home and Away, The Chase Australia, and Australian Spartan. However, due to regional restrictions, the site’s content is only accessible from within Australia. So, if you want to watch 7Plus in the US, UK, Canada, and elsewhere abroad, your best option is to make use of Unlocator. Unlocator helps you circumvent this issue by redirecting your traffic through one of their servers in Australia. This will make you seem as if your browsing within that region while physically present elsewhere. Unlocator simply alters parts of your connection allowing you to give the channel the impression that you’re inside its area of coverage. As a result, if you try to stream on 7Plus while using Unlocator Smart DNS, you’ll notice that the ban has been lifted. All you have to do is sign up for a free Unlocator trial and follow the setup guides provided based on your streaming platform. After subscribing to Unlocator, you will be able to watch 7Plus wherever you are in the world. Note that Unlocator doesn’t tamper with your internet connection. Neither does it change your IP address. This means that you can still access your local websites and channels while watching geo-restricted content simultaneously.